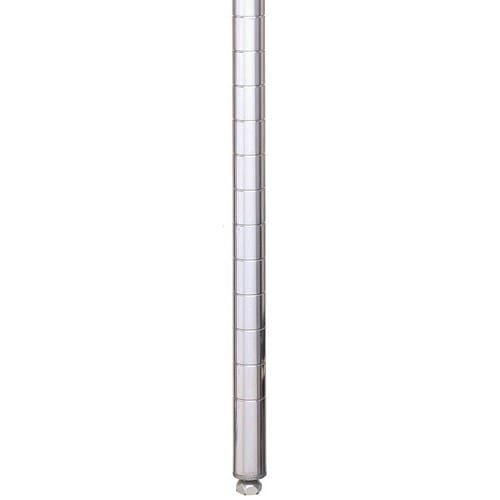 The Metro 74PS SiteSelect™ post stands upright to support shelves. 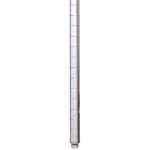 Grooves mark the rod at 1-inch intervals so that shelves can be raised or lowered easily. The leveling bolt helps keep shelves upright and can be adjusted. The posts are 74 inches tall and support several shelves at once. To prevent bending and denting, each rod is made of stainless steel. You can find additional information about these units in our wire shelves explainer.